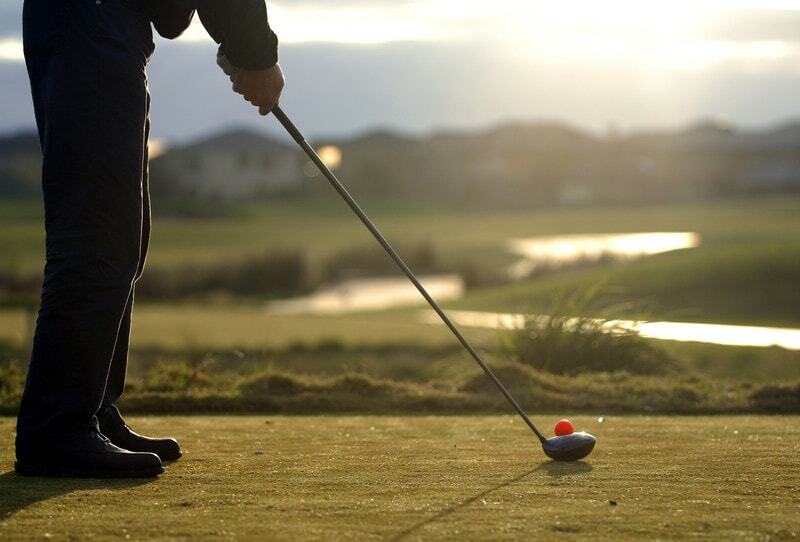 Being new to golf is not necessarily a thing to be afraid of. In fact, with all the advancements in the recent years, we can say that arguably, learning golf has become easier than ever. 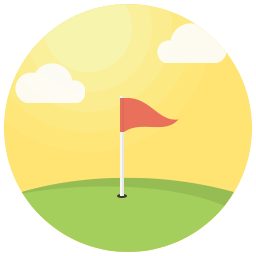 The knowledge surrounding the game has become more accessible, and there are many new gadgets and equipment that can help beginner golfers to improve in a relatively shorter amount of time, compared to say, a decade ago. The TaylorMade M1 Driver is excellent in almost every category: it is simply one of the best drivers available regarding distance, while being also quite forgiving and has a lot of adjustability options. TaylorMade achieved this by making the composite head really light and moving the center of gravity low and back to achieve a penetrating ball flight and low spin, even during slight mishits. 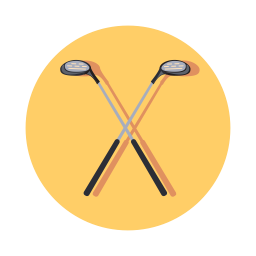 However, there is one fact that remains unchanged throughout the years: investing in equipment can be very confusing for golf beginners. Even more forgiving than M1, but not as adjustable. Better value for money. With so many variants of golf clubs, balls, gadgets, and miscellaneous accessories available nowadays, the first purchases for beginners can be a very daunting task, and no wonder, many beginners often become victims of misleading marketing and sometimes, the illusion that PGA Tours equipment will always be the best. As we have mentioned in our previous guide, using equipment not suitable to your aptitude not only can be a hindrance to your progression as a player but in fact, can hurt your overall game. That is why we are compiling a series of articles aimed to help beginners in purchasing their equipment, starting with this Beginner's Guide to Buying Driver. Do I Need The Latest Technology? How Do I Choose The Right Shaft? How Many Drivers Should I Own? 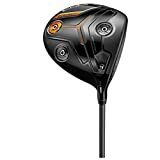 How Often Should I Purchase A Driver? How Do I Know That A Driver Is Intended For Beginners? The TaylorMade M1 Driver has the reputation of being one of the longest drivers available today, while also providing excellent forgiveness and adjustability features. The ultra-light carbon composite head allows TaylorMade to move the center of gravity further down and back, causing high ball speed and low spin, which is the secret of performance in distance. The big, 460cc head paired with a relatively high face creates a big sweet spot, and even during mishits, you can still get satisfying distance. There are also plenty of adjustability options with the TaylorMade M1: there are two movable weights to alter center of gravity and draw tendency, there is the adjustable hosel, and there is also the adjustable loft angle. With 270 different customization options, you can tailor the TaylorMade M1 to suit your exact needs and playstyle. A minor downside is that while the M1 is already forgiving enough, the distance loss on thin contact is quite significant. So, you will still need a bit of accuracy. Also, the composite head produces a slightly muted sound and feedback, so there’s a bit of sacrifice in the feel and sound department. With the Cobra King F7, Cobra took similar approaches than TaylorMade did with their M1 Driver. Cobra understood the need of adjustability in modern drivers, and so they offer 3 weight-screws to alter spin, center of gravity and draw setting. There’s also the MyFly8 hosel, allowing you to adjust loft angle literally on the fly. Similar to the TaylorMade M1, the head and the crown of the Cobra King F7 is also composite with a combination of carbon-fiber and titanium lining. 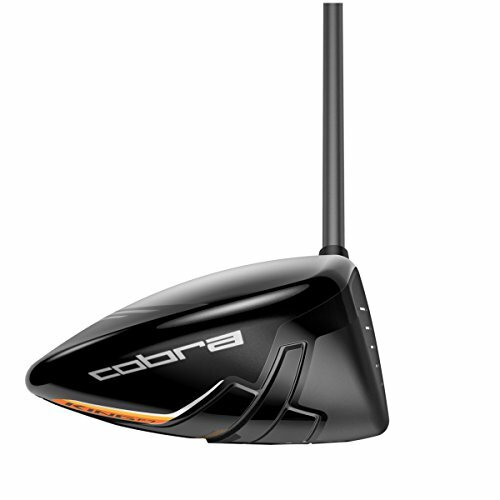 So, you get a big (460cc) head with a huge face while also allowing Cobra to move the center of gravity down and back for easier launch and low spin. The Cobra King F7 is a little bit more forgiving than the TaylorMade M1 due to its larger, flexing face. Yet, regarding distance, the TaylorMade M1 is still a winner. The Cobra King F7 is a well-rounded driver offering consistency in performance and simple (yet powerful) adjustability features. 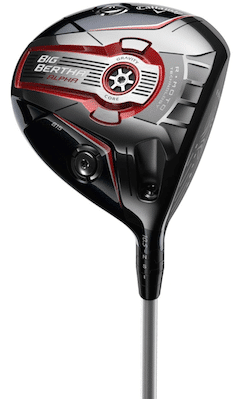 Next up, the Callaway Big Bertha Fusion is the most forgiving driver on this review. While both the TaylorMade M1 and Cobra King F7 are already decent in forgiveness, the Callaway Big Bertha Fusion took forgiveness to the extreme, and will be an excellent choice for beginners and high-handicappers striving to improve. Callaway achieved this forgiveness by making the head and face very big with a triangular shape. The triangular shape, along with the Speed Step technology on the crown, allows more airflow on the top of the head during your swing, and hence making the head faster, producing more ball speed and in turn, distance. With the extreme forgiveness and extremely low spin, you do get limited shot-shaping playability with the Callaway Big Bertha Fusion, but that’s not the purpose of the driver. The Callaway Big Bertha Fusion does really well in what it was designed for: ultra-forgiveness. If the Big Bertha Fusion is all about maximum forgiveness, the Callaway XR 16 Driver is more similar to the TaylorMade M1 in providing the balance between forgiveness, distance, and playability. It features the same aerodynamics technology as the Big Bertha Fusion, but the smaller head and thinner face allow even faster head and ball speeds, and hence you get a longer distance. A minor downside, especially by today’s standard, is the lack of any adjustability features in the XR 16. Yet, you get a very balanced driver with a high flight trajectory and medium spin for the balance between forgiveness and playability. The Cleveland Classic XL might be a little bit old, but by no means it is obsolete. The ‘XL’ stands for its very big head paired with a deep and tall face for maximum forgiveness. In many ways, the Cleveland Classic XL is similar to the Callaway Big Bertha Fusion, both are aimed to achieve maximum forgiveness for beginners and high-handicapper. For a game-improvement driver, it is also surprising that the Cleveland Classic XL is one of the best performers in distance, almost comparable to the TaylorMade M1. Yet, being a relatively older club, there is a lack of newer technologies for both forgiveness and adjustability. The driver or 1-wood is simply one of the most important, and most popular clubs for any golfer, and yet arguably the most obsolete in any golfer's bag. With almost every major manufacturers releasing a new driver every single year with new technologies, keeping up with the current driver trends, as well as finding the one most suited for you, can be the hardest task for any golfers, and especially beginners, and our aim with this article is simply to help with that fact. Drivers are built mainly with a single purpose, distance of your off-the-tee shots. With that in mind, three main factors are the emphasis of the designs: ball speed, launch trajectory, and spin. It is easy to assume that high-end driver clubs with newest technologies that are used frequently in PGA Tours will be the best choice for any players. However, that is certainly not the case. High-end drivers are built to cater professional players and high-level amateurs with single-digit handicap and is designed to fully utilize the high swing speed (above 100mph) and hit precision. When used by beginners with insufficient swing speed, the performance will diminish dramatically in the launch trajectory and ball-speed department. On the other hand, off-center hits on these drivers will produce a significant amount of side-spin, producing curved shots we often deemed as slice, which will sacrifice both distance and accuracy. With that in mind, beginner golfers are better off using driver clubs more suited to their current swing speed and precision. Drivers, arguably, are the most regularly updated, technology-wise, among all the other golf clubs, as discussed by GolfDigest a few years back. Although this GolfDigest article is a bit old, it stays relevant, or yet, even more relevant today with the rapid advancements in technology regarding drivers. 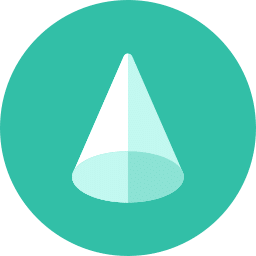 However, not all the new technologies are designated toward newer players, and thus, as a beginner, you should filter the kinds of technology that might benefit you as an aspiring player. 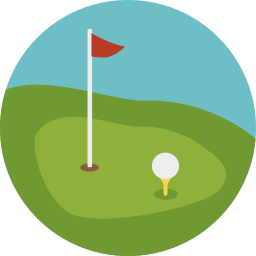 As a beginner, having a forgiving club will certainly be a benefit, as you can train to build your accuracy while still promoting a sufficient performance. Regarding spin, less spin will benefit a beginner golfer better, since it will translate to an easier control and less slice. Personalization or adjustability of a driver, again, is geared towards an adjustable center of gravity placement in the form of movable weights. Will it help a beginner? Certainly. Using a maximum stability setting will improve the forgiveness of the driver even more. Other notable adjustability features of newer drivers are the ability to adjust loft angle. Higher loft angle will also benefit newer players to produce desired height trajectory during launch. To answer the question, will you need the newest technology? Yes, provided you understood how the basics behind it, and how to apply the technology to improve your game. One thing that might help you tremendously as a beginner, is choosing the right shaft. Let us discuss a bit regarding how shafts will affect your game, and how to choose the right one. Why is the shaft of any club so important? Shafts have different kinds of stiffness or flexibility. The higher your swing speed, the stiffer you would want your shaft to be, so that you can hit the ball in the center with accuracy. If you are using a shaft that is too stiff for your current swing speed, the shaft will not flex to its full capacity. Meaning, even a well-struck shot will not produce its maximum distance and launch trajectory. On the other hand, if the shaft flex too much because it is too weak for your swing speed, it will be inconsistent in its release point. With that in mind, having the right shaft will certainly be one of, if not the most deciding factor for distance. In that sense, shafts will affect drivers more than the other clubs. How then to choose the right shaft for you? If you have the luxury of using a launch monitor, and even more, a professional fitter, they can certainly help you with choosing your shafts. If not, in our drivers page we've outlined the exact flex you'll need to use depending on your swing speed and distance. With the professional rule limiting you to only be able to carry 14 clubs in your bag, carrying just one driver you trust will be more than sufficient. Some professional golfers, albeit rare, carry two drivers: one for maximum distance, and the other one for shot-shaping. However, such practice will not be necessary for beginners, and on the other hand, the adjustability of newer drivers will allow you to fine tune your driver for both functions. This is a hard question to answer, especially for beginners and aspiring players, since the playing level and ability might evolve dramatically in a very short span of time. Most reputable manufacturers release new drivers every year, and some even release more than one in one year. However, as a general guideline, your driver, provided it is a good fit for you, can last two to four years before having a new one will show a significant upgrade. It will be different for everyone, depending on budget, skill development, and whether there's any change of playstyle. 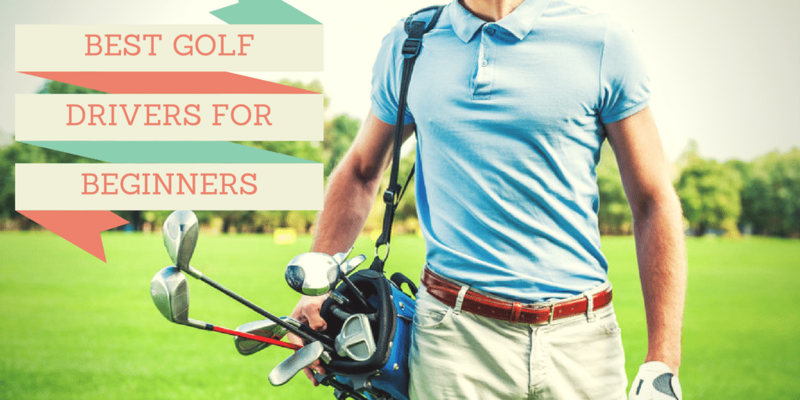 The Golf section of eBay has recently outlined a few reasons why you may need new golf clubs. I recommend you check it out to get feel for whether or not you may need to purchase new clubs. Major golf sites, such as Golf Digest, often release their Obsolete List, listing the equipment that is too old for today. Admittedly, many manufacturers released misleading information regarding their clubs, often confusing buyers to make a purchase decision. This is where we filled in, and below, we will discuss some of the best driver clubs available in the market suitable for beginners. Forgiveness: Off-center hits will be a major issue in any beginner's game, and also the one thing you should improve upon. 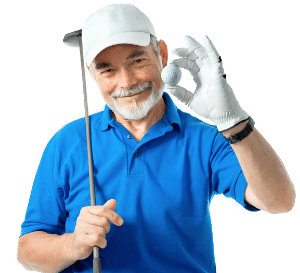 A driver club with great forgiveness level will certainly help a beginner in their journey towards the top, building confidence by promoting performance while teaching the said beginner the difference in feeling between mishits and well-struck ones. Shaft Flexibility: it is significantly important to have a shaft with a proper amount of flexibility to support your current swing speed. Not only it will help with the straightness, having a proper flexibility in a shaft will help in carry distance. 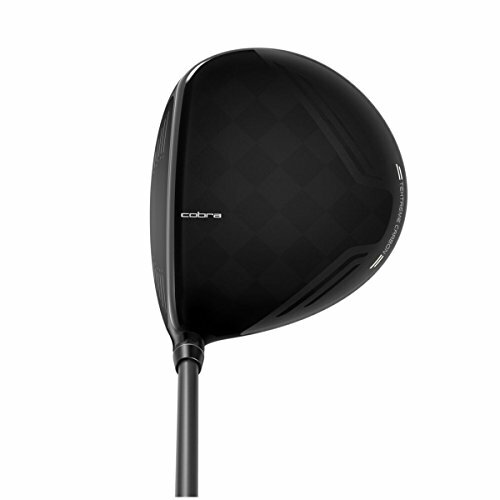 Clubhead Size: The rule of golf dictates that the maximum size of a driver to be 460cc, and by all means, that size is the one you should aim for. Bigger clubhead will certainly help with forgiveness, with the obviously bigger sweet spot. Without further ado, let us begin our discussion with our product recommendations. The TaylorMade M1 Driver has all the key ingredients of an excellent modern driver: distance, forgiveness, and customization. It is simply one of the longest drivers available today, which when paired with its excellent forgiveness, offers a very consistent performance. While there’s no question regarding its performance, the TaylorMade M1 is also a great-looking driver, sporting a modern high-tech look common with TaylorMade clubs. Regarding feel and sound, the M1 also sports the classic TaylorMade sound: loud and responsive, although it’s a little muted as expected of a composite head. In short, it’s very hard to find a serious flaw with the TaylorMade M1 Driver, an almost perfect driver in almost every category, ideal for high to low-mid handicappers. TaylorMade has been known as one of, if not the best producer of drivers in the world for quite a long time. So, when they announced the M1 driver with a worldwide launch event, we knew that it was going to be a very special club, and indeed it is. 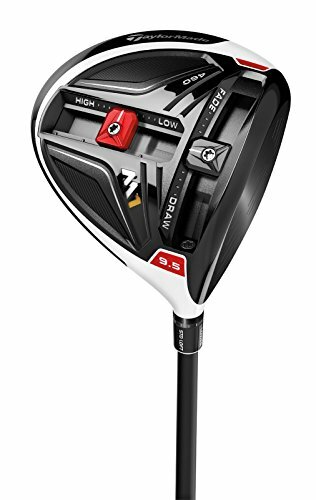 Before we begin the review, it’s important to address that we are reviewing the first edition of the M1 driver, and not the updated 2017 driver. Because according to performance tests, there’s not much upgrade in performance with the 2017 M1 driver over the original, and obviously you can get the original M1 at a more affordable price tag. Now, we can begin. The TaylorMade M1 Driver was built with the mission of producing the longest distance while giving enough forgiveness for consistency. There are several key technologies and designs TaylorMade used to achieve this, the first and arguably the most important one is the composite head and carbon-fiber crown. There are several benefits with the carbon-fiber crown. First, it is extremely light, allowing faster swing and thus more ball speed. Second, the lighter crown allows TaylorMade to move the center of gravity (CG) further down in the sole. The lower your center of gravity is, the lower backspin you'll get. In short, it will be much easier to launch the ball. The third, is that the carbon fiber pattern gives the driver a great look at address. Besides the carbon-fiber section, the crown also features a white titanium section above the face, giving you the classic but modern black-and-white look loved by many golfers. The black and white contrast is not all about looks either, as it will also help with alignment. 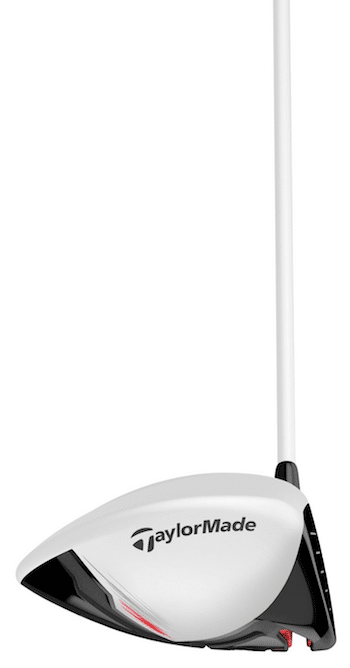 The TaylorMade M1 Driver is also one of the first drivers to feature the movable weight technology. In this case, there’s not only one, but two movable weights to give you more versatility and customization. The first is a red, 10-gram weight which you can move from heel to toe. The second is a black, 15-gram sliding weight you can move left to right below the face. The black weight will create a fade or draw tendency, while the red weight will alter your launch angle. In its principle, the movable weights will alter the center of gravity, and by moving the weights, you can customize the M1 driver according to your exact needs and playstyle. There is a total of 18 positions with the black weight, and 15 different positions with the red. In total, you get 270 possible combinations. That is not only the customization you get with the TaylorMade M1, as you also get an adjustable hosel with four different head lofts. Finally, the TaylorMade M1 is all about distance. The low center of gravity along with the ultra-light composite head allow an excellent ball speed with low spin, the two main ingredients to achieve longer distance. The result is simply one of the longest drivers available even today, almost three years after the initial launch of the TaylorMade M1 Driver. The 460cc head is also designed to have a very big MOI (Moment of Inertia) of around 4500 g/cm2, meaning, you have a really big sweet spot. Unless you make a very thin mishit near the edge of the face, you can still produce a satisfying distance with the TaylorMade M2. 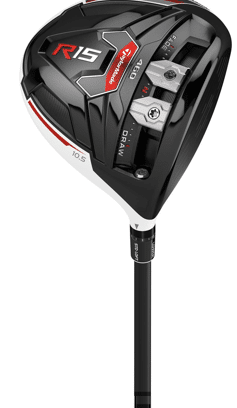 The Cobra King F7 is decent in all three key aspects of a modern driver: forgiveness, distance, and adjustability. Arguably, the King F7 is slightly more forgiving than the TaylorMade M1, while the TaylorMade M1 is the longer driver. Regarding adjustability, it is a matter of preference as some will prefer the simpler approach of the Cobra King F7, while some will prefer the in-depth customization of the M1. Considering the Cobra King F7 is significantly more affordable than the M1, there’s also the added value of the Cobra Connect swing analyzer device included in the package. Overall, a very decent pick for those looking for a well-rounded driver. Cobra and TaylorMade are quite similar to each other in their approaches with technology, and you will see many similarities between the Cobra King F7 driver with the TaylorMade M1 we have discussed above. Both of them are aimed to give excellent forgiveness with various forms of adjustability, while also aiming to produce excellent performance in distance, especially by producing as little spin as possible. In the past with their Fly Z+ and F6 drivers, Cobra used sliding or flipping weights to alter the CG placement. Yet, the Cobra King F7 went with a simpler approach of three weighted screws in the sole. The two first screws are designed to alter spin, the front weight will make the ball spins lower, while the back weight will cause higher spin rate. Towards the heel, there is the third weight to give draw tendencies. Two of the weights are 2g, while there’s a heavier 12g weight. This largest weight will dictate how the club perform. Putting the 12g weight in the ‘high’ position will allow the ball to spin higher, while putting it in the ‘draw’ position will cause draw tendencies. This adjustability feature by the three screws might seem really simple, but ultimately it allows the head to be much lighter, since it wouldn’t need to include heavy sliding mechanisms. Then, there’s also the MyFly8 hosel, which allows you to alter loft angle without removing the head. There are five different settings where you can alter the loft by 3 degrees. By combining the loft angle and weight-screws, you can customize the King F7 driver to get the right balance and maximizing your distance. Compared to TaylorMade M1 Driver’s adjustability options discussed above, these features might seem quite modest. Yet, you get the added value of simplicity, and adjusting the Cobra King F7 Driver will only need a relatively little time and effort. Regarding forgiveness, there are several approaches taken by Cobra: first, the crown is made from TeXtreme Carbon Fiber, that is lighter than titanium materials by 20%. This allows cobra to lower the center of gravity placement for easier launch. Next is Cobra’s highly regarded E9 face, with variable thickness preventing the loss of ball speed during mishits. Finally, the head is 460cc and the face is relatively big, around 5% larger than Cobra King F6 driver. Meaning, you get a bigger sweet spot to make your center shots. Another indirect forgiveness feature is the Smart Pad technology on the sole. This feature allows the Cobra King F7 head to keep the face always squared when you change loft angle through the MyFly8 hosel. Distance-wise, although it’s not as long as the TaylorMade M1 driver, it still produces a decent performance thanks to its naturally low spin. The key here, however, is consistency. With all the forgiveness features discussed above, you will get a decent distance even during slight mishits. The Cobra King F7 also includes the Cobra Connect GPS swing tracker device (and free app) in the package, which is a nice addition considering a separate swing analyzer device could cost you. The Cobra Connect works with a built-in GPS sensor on the end of the King F7’s grip. The phone in your pocket (with the Cobra Connect app) will work together with the sensor when you hit the ball, measuring the distances as you are playing the round. It might not be the most accurate and feature-rich swing analyzer app available, but it’s free. 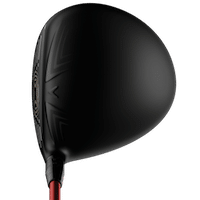 The Callaway Big Bertha Fusion is the most forgiving driver on this list, and will be an excellent pick beginners and high-handicappers looking for maximum forgiveness. The forgiveness comes from the ultra-light composite head with a large face, giving you a really big moment of inertia (MOI), and so a really big sweet spot. The aerodynamic head with Callaway’s Speed Step crown allows a very fast head speed, producing a low and penetrating flight trajectory to maximize distance. The downside of the Callaway Big Bertha Fusion is the relative lack of adjustability features, especially when compared to the Cobra King F7 and TaylorMade M1 discussed above with their excellent customization features. The non-traditional head shape and lack of shot-shaping playability might also be deal breakers. However, if you are looking for an ultra-forgiving driver, the Big Bertha Fusion is simply one of the best choices. ​Both the TaylorMade M1 and the Cobra King F7 drivers discussed above are already pretty forgiving, even by today’s standard where almost all drivers from popular manufacturers are easy and consistent enough. Yet, some golfers are still struggling even with those options, and that’s where a super game-improvement driver like the Callaway Big Bertha Fusion fills in. Designed as Callaway’s super-forgiveness driver dedicated for high-handicappers and beginners, there are several key design approaches Callaway took to achieve this. First, the Callaway Big Bertha Fusion is all about increasing the moment of inertia (MOI), which is achieved by positioning the center of gravity as low and as further back as possible. 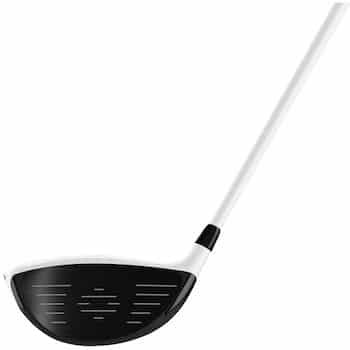 Callaway used a carbon composite head to make it lighter, pushing the center of gravity lower. This not new, as Callaway (and other companies) have done it since the early 2000s. With the Callaway Big Bertha Fusion, they enhanced the composite head a little further by caging it in a titanium body (dubbed the Exo-Cage), while also adding the ultra light carbon fiber (dubbed the Triaxial Carbon) on the crown and sole. The Triaxial Carbon is significantly lighter than titanium by 35%, and so Callaway can move the weight elsewhere to alter the center of gravity. Callaway used a 35 g weight that is movable on a small area on the back of the head, focusing the center of gravity as low and as back as possible. All these design choices caused a relatively non-traditional shape of the head, which is more triangular than usual. ​Although the shape might be weird for some, there’s another benefit with this design choice. A large MOI and low-back center of gravity are not the only things about forgiveness. Especially for drivers, we have to make sure the head speed is fast enough to produce consistent distance. The triangular shape of the head, along with Callaway’s Speed Step technology on the crown allows a smoother airflow on the top of the head, meaning a higher ball speed. The Speed Step technology is designed especially to achieve aerodynamics, and this is where the Callaway Big Bertha Fusion truly shines to give you the maximum amount of forgiveness, speed, and consistency. As a result of this aerodynamic design, the Callaway Big Bertha Fusion produces a relatively low flight trajectory with a medium-low spin rate. 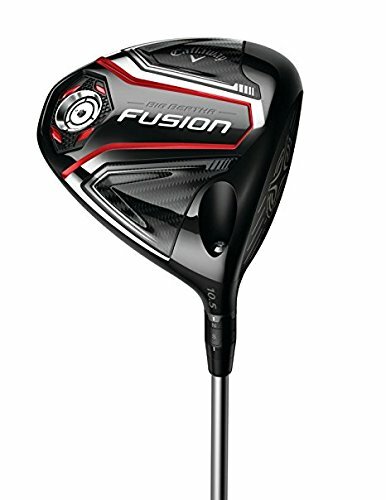 So, not only you get a very forgiving driver, you also get a decent performance in distance with the Big Bertha Fusion. 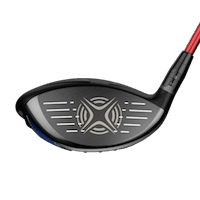 If you are familiar with the popular Callaway XR16 driver, the Callaway Big Bertha Fusion produces a similar performance in distance with significantly more forgiveness. 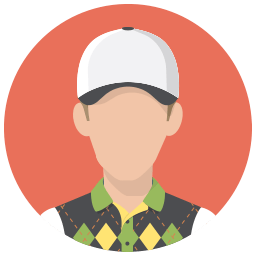 In the looks department, we should say that it might be a hit and miss, especially if you are more familiar with Callaway’s traditional classic design. The Big Bertha Fusion is designed with a high-tech, modern look, and it simply might not be for everyone. For the sound, there’s the low-pitched, slightly muted sound that is familiar with composite heads. Regarding adjustability, the Callaway Big Bertha Fusion features the Optifit adjustable hosel, which is quite similar to the Cobra King F7’s MyFly8 hosel. 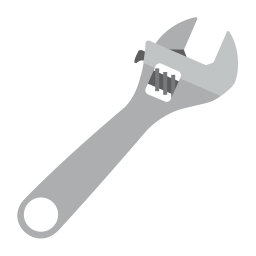 You can also move the adjustable weight around in a relatively small area to adjust the center of gravity. While the adjustability features are relatively limited, they do the job well: giving you an easy-to-use, very forgiving driver that is also decent in producing distance. Callaway is a big name that needs no introduction in the world of golf equipment. The XR16 driver is Callaway's flagship top end drivers to date, featuring some of the best state-of-the-art technology around. We have reviewed the Callaway XR 16 in depth in a dedicated article. 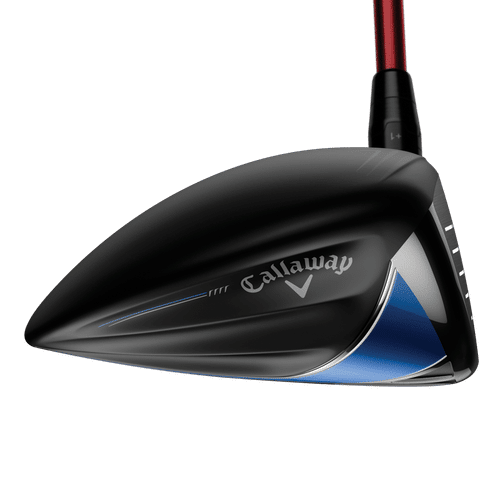 Although we have discussed that not all of the high-end models are suited for newer players, the Callaway XR16 is certainly an exception because of one reason: it is simply one of the most forgiving drivers available in the market today. How did Callaway achieve such forgiveness? The secret is the clubhead shape itself, allowing a larger shape of Moment of Inertia (MOI), combined with one of the lowest and deepest centers of gravity placements in the competition. This driver is not all about forgiveness either. Callaway worked with the experts from Boeing to develop one of the most advanced drivers in the aerodynamics department. Less weight, better placement, and better aerodynamics translate to more speed, and more distance. Combine that with Callaway's new R.Moto Face Technology that is 19% thinner and lighter than ever, and the result is the most forgiving driver with a bigger sweet spot, as well as being one of best performing -distance-wise- of any drivers available today. Here are what we liked and disliked about the Callaway XR 16. Low and Deep Centre of Gravity: Lower C.G. translates to more spin, more dynamic loft, and more MOI, while deeper CG decreases spin while increasing dynamic loft. The result? More distance while being extremely forgiving. Distance: The aerodynamics technology from Boeing experts and the new lighter and thinner face technology allows better carry distance. And the good news is, the extra mileage will affect even most beginners. Feel: Excellent balance and the included shaft - a Fujikura Speeder Evolution 565 graphite -, is a perfect match for the head, further improving the overall forgiveness and playability. Playability and Forgiveness: The XR 16 produces a natural high-trajectory flight and is inclined to be straight at all times. This driver still allows slight draws and fades, but simple adjustments can fine tune any golfer's shots to avoid such issues. Spin: With forgiveness being the main focus, the spin rate can be too low for some player's preference. As a result, the penetration is sometimes not sufficient in windy situations. Limited Adjustability: Compared to other high-end drivers, the XR 16 offered limited options for adjustability. There's the adjustable hosel for loft angle settings, draw setting to close the face, and that's it. Although simplicity could be a major benefit for beginners, having more options will certainly be nice. Bottom Line: Forgiveness is the key highlight of the Callaway XR 16, and it is indeed one of the best options if you are looking for performance from off-center shots. Naturally straight and high launch trajectory, the XR 16 is an effective option for beginners who are especially looking for simplicity, distance, and performance. Another option that is a little bit older, released back then in 2013, yet is still often deemed as the best game-improvement drivers around. For many golfers, Cleveland is a manufacturer more famous for their short distance clubs: the wedges and putters, but their drivers are nothing to mock about. 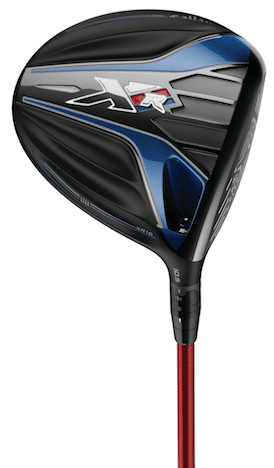 The XL is the version intended as a game-improvement option, and even today is one of the longest beginner's drivers available on the market. The first thing you might notice with the Cleveland Classic XL is the face. The very deep and tall face is unusual, yet has been proven to be very forgiving. One other thing you might notice is the all-black finish with retro styling, which could cater to those who prefer old-school and retro looks. Here are some of the unique features we liked and disliked from the Cleveland Classic XL. Lightweight: The Classic XL comes at only 285 grams, thanks to the lightweight grip and shaft. The Miyazaki shaft is a nice feature, providing a nice amount of stiffness to enhance the distance further. Distance: Simply one of the longest drivers available, especially among those intended for beginners. 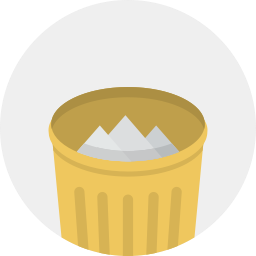 Very consistent and low-spinning. Feel: Another one of its greatest features is the classic Cleveland feel, easy to swing, light but not too light to over flex your shaft. The balance between the lightweight shaft and grip, and the properly heavy head maintains its consistency and stability. Playability: Very responsive with naturally flat trajectory. Also, very straight in nature, with manageable slight left draws. Forgiveness: Less forgiving compared to the newer options in this list. The shaft graphics: We felt that the shaft's graphic simply doesn't match the overall classic looks of the club. This is, however, a matter of preference. Technology: Being a little bit obsolete, you won't meet the newer technologies found in the newer clubs. 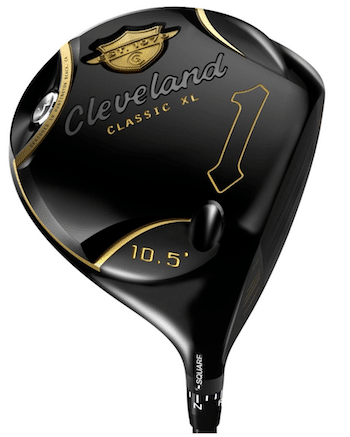 Bottom Line: For those who prefer classic and straightforward drivers, the Cleveland Classic XL is certainly one of the best options available. The classic look, the classic feel, and its overall great performance is a nice addition for any golfers who look for simplicity in their game. 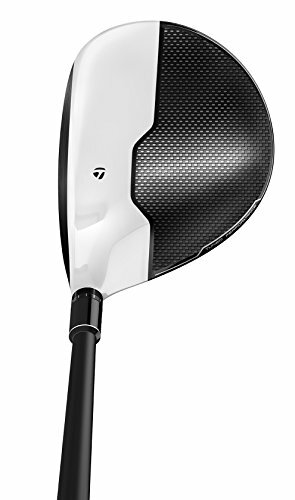 It is hard not to include a TaylorMade Driver in any best drivers list, simply because TaylorMade has been known to be one of, if not the best driver manufacturer for years. 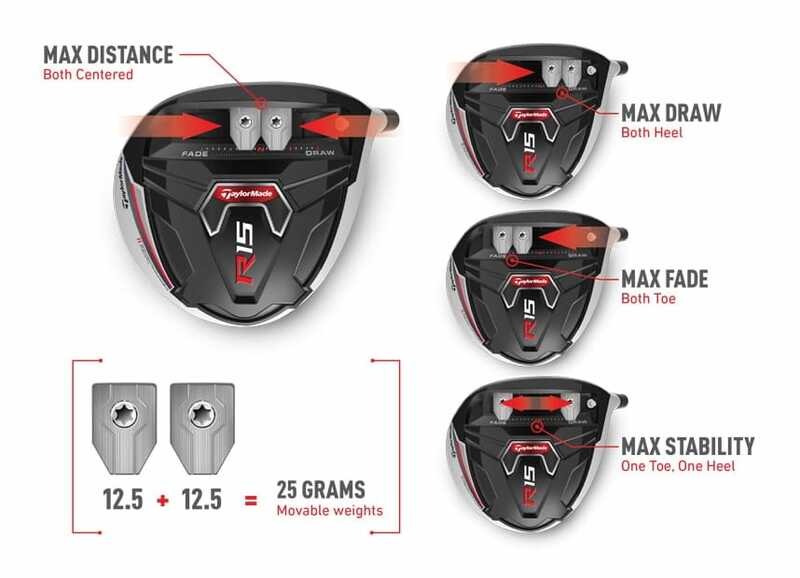 Although TaylorMade is more famous for their high-end drivers intended for better players (such as the TaylorMade R15), they have a long line of game-improvement drivers during their history, and the AeroBurner is the latest iteration, besides the recently released M2. One thing you first will notice on the TaylorMade AeroBurner is the white crown and red paint finish. The red accent is intended to help with ball alignment, besides its obvious aesthetics function, and it certainly did the job well. 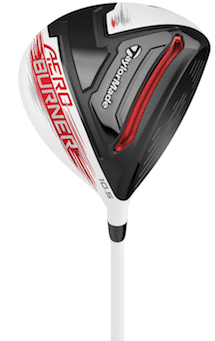 The principle behind the AeroBurner is quite simple, combining all three of the biggest factors for distance in one driver: longer shaft, aerodynamic head, and lighter weight, and the AeroBurner maintains the perfect balance between the three. Here are some of the pros and cons of the TaylorMade Aeroburner. Distance: The longest driver on this list, period. The 50-gram Matrix Speed Rul-Z shaft and the aerodynamic of the head provide serious airborne time for the distance. If you are struggling to get the ball high, this one is for you. Forgiveness: Although there is seemingly no dedicated technology to improve forgiveness on the AeroBurner, it achieves a great forgiveness feature simply with its overall design. It turns slices into fades, and hooks into draws, seemingly auto-straightening your shots even on off-center hits. Very consistent and very accurate. Feel and Sound: TaylorMade drivers are well known for its signature, beautiful sound. It's not an understatement that this club is worth buying simply for its great sound and feel. Technology: If you are looking for adjustability, you won't find any on the AeroBurner. Looks: Although it's a matter of preference, the clean and white minimalist look is simply not for everyone. Lightweight: Although its lightweight is one of, if not its key characteristic, it will be problematic with high swing speed golfers. You might want to upgrade to the AeroBurner TP or R15 if you have swing speed above 95 MPH. Bottom Line: Simple and raw, yet very long and controllable. The driver certainly lives up to TaylorMade's claim as the #1 driver manufacturer in the world. TaylorMade showed us that the best thing driving performance and distance is not gimmicky technologies, but rather the basic physics in design. A very nice driver for those who prefer simplicity. While choosing just five drivers among so many available options is already a very hard task, choosing just one will be even harder. The AeroBurner is amazingly simple. Although it's fairly new, there's no movable weight feature, no adjustable hosel, and no other gimmicky adjustable settings found in most drivers today. There is not even a dedicated technology to improve forgiveness. Yet, the AeroBurner performs better than the other options in this list. You can expect your average distance to be roughly 5 yards further than with other drivers. 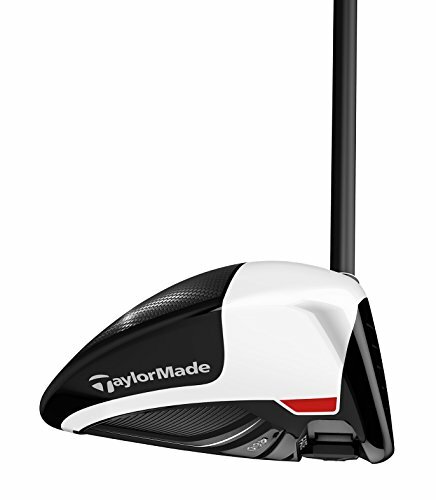 TaylorMade showed us how physic is the most driving factor for distance and performance, and certainly, the AeroBurner lives up to TaylorMade's name as the best driver manufacturer in the globe. Not to say the other drivers on this list is far behind, they are not. If you are looking for more adjustability, the Callaway XR 16 and the Cobra Fly-Z are good options. If you are looking for a more classic feel and look, the Cleveland Classic XL is the one for you. If you are looking for an on-budget option, the Cobra Bio Cell is not a big sacrifice in performance.